Buy 4 Pints of our house made ice cream. Made from the finest ingredients, each pint weighs approximately 360 grams, and yields 4-5 servings. PLEASE NOTE: Ice cream is shipped frozen with dry ice. Please use caution when handling dry ice. 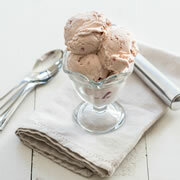 SIBC unconditionally guarantees your ice cream will arrive frozen, beautiful, and delicious! Smith Island Cakes are meant for a celebration, and they’re meant to be shared. They are also meant to be accompanied by rich and creamy ice cream. Whenever a group gathers to celebrate the passage of time, and to celebrate a loved one, Smith Island Cakes make the perfect centerpiece. They are delicious and made from scratch, but they also symbolize the sense of community that seems lost in our busy time. Whenever we think about a birthday, we can’t help think about a party, cake and ice cream. Our ice cream is made from scratch with honest ingredients, just like our cakes. Always made with whole milk, real sugar, Tahitian vanilla beans, the finest chocolate and seasonal ingredients, and the kind of care you have come to expect from all of the Smith Island Baking Company family of products. When you buy ice cream online from Smith Island Cakes, you can be sure that we ship it frozen with dry ice, and unconditionally guarantee it to arrive frozen, on time, and delicious. Smith Island Cake and ice cream packages mean good times, and wonderful memories to share with those you love. Real memories. Fun memories. Birthday memories, shared by friends. If you're looking for the perfect birthday gift, please think of our mail order cakes. 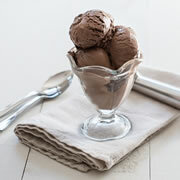 And if you are throwing a party, order ice cream online and you'll truly wow them. Our cakes and our ice cream are made from scratch, and they’re always unconditionally guaranteed to arrive frozen, delicious and perfect. We can even throw in some candles (although the mother in us all asks you to use common sense) and birthday chocolates. Our Smith Island Cake and ice cream packages are perfect for any occasion, for birthdays or anniversaries, or a gift just to let someone know you care. Birthdays mean parties, parties mean cake, cake means ice cream, and the Smith Island Baking Company is your source for it all. Amazing cakes, deliciously decadent ice cream, always made from scratch, always unconditionally guaranteed. What better way to celebrate the passage of time than together with friends and Smith Island Cake and ice cream packages. Cake and ice cream are synonymous with birthdays, parties, and many happy returns. Order ice cream online today and find out why our customers have made our cake and ice cream packages a tradition.